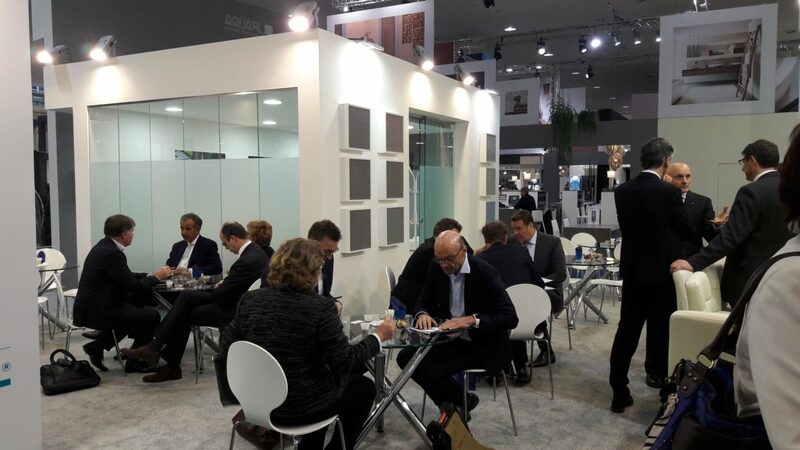 Aquafil - AQUAFIL AT DOMOTEX 2018 IN HANNOVER. 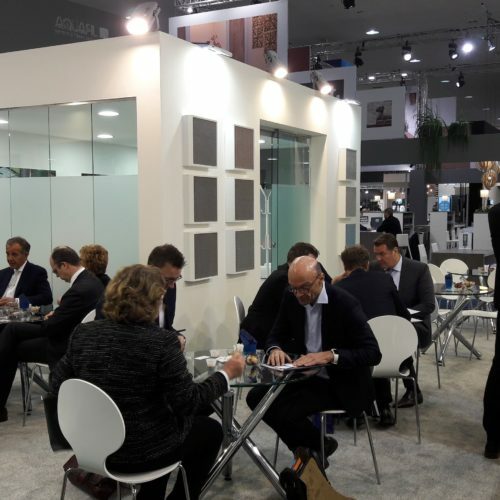 AQUAFIL AT DOMOTEX 2018 IN HANNOVER. 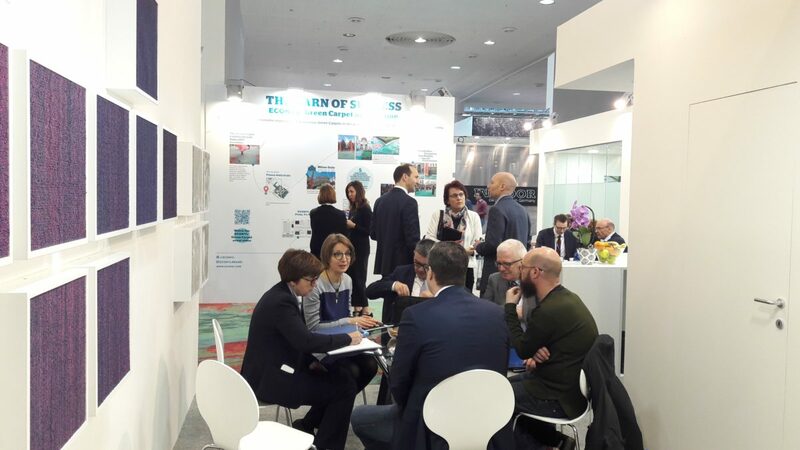 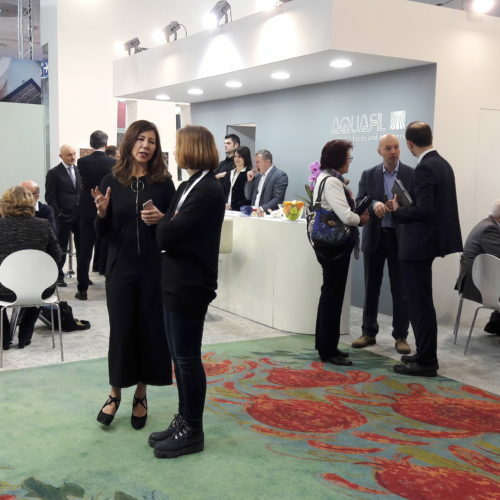 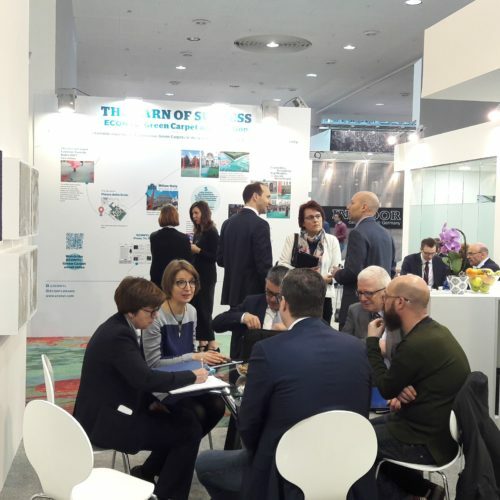 From January 12-15, Aquafil was in Hannover at Domotex 2018, the most important trade fair in the sector. 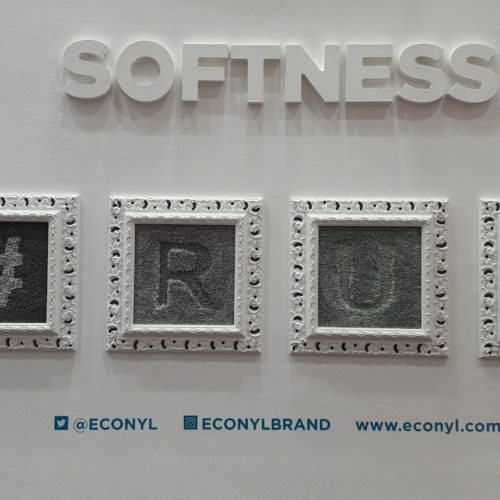 Compared to previous years, the booth was almost completely dedicated to products made using ECONYL® yarn and with a communication that detailed some of the successes of ECONYL® yarn, taking into consideration various ideas, from the exclusivity of its environmental performance to the possibility of obtaining unique products for their beauty, softness and creativity. 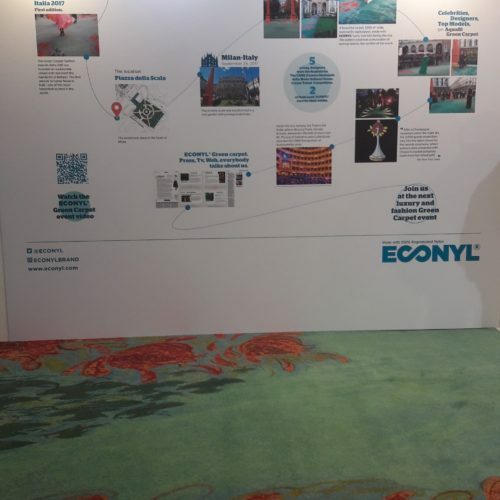 Each booth wall was dominated by the ECONYL® yarn communication and its most important applications for Aquafil: ECONYL® yarn in the luxury carpet sector, the launch of the 28 new colors of the Global Collection, ECONYL® Stayclean in the Home and Office versions, ECONYL® yarn at the “Green Carpet Fashion Awards” in Milan and future events in the fashion world. 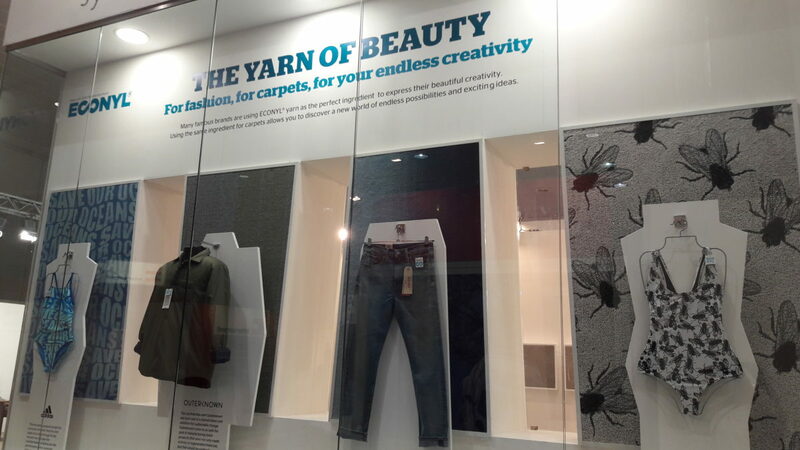 All these sections led to a large panel that compared the possibilities of creativity and infinite design applied both to clothing and to the production of carpets. 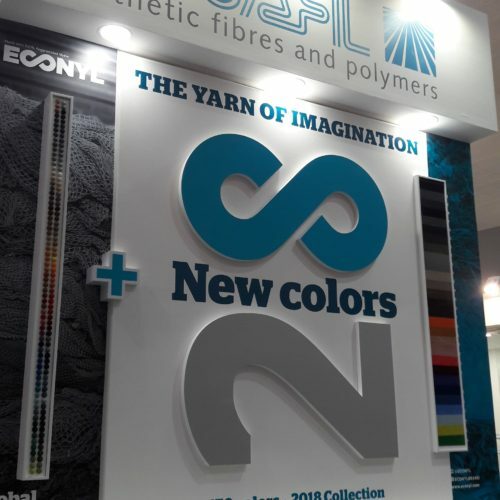 Check out the description of the areas of our booth below. 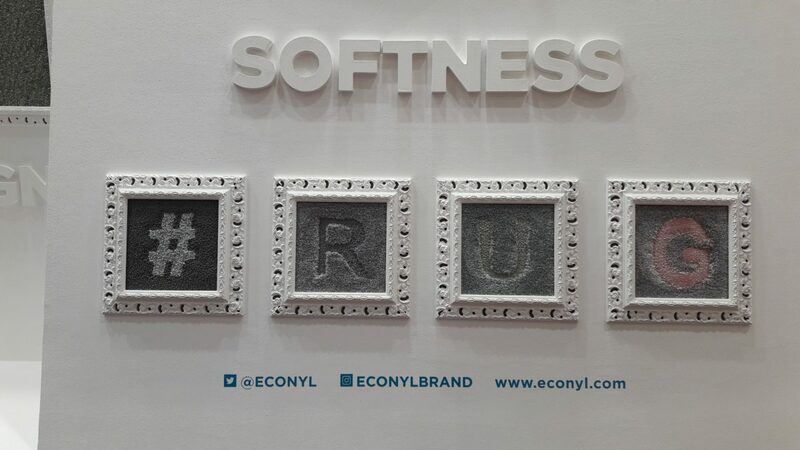 For the first time, the ECONYL® yarn is offered to the world of high-end luxury carpets. 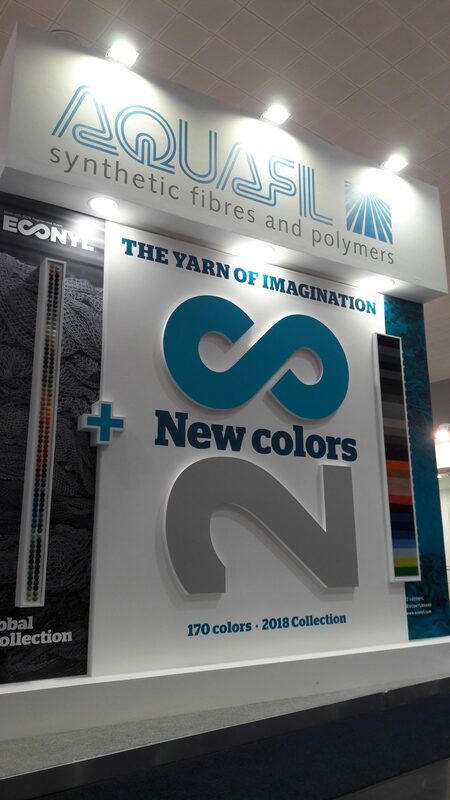 The launch of 28 new colors for the Global Collection. 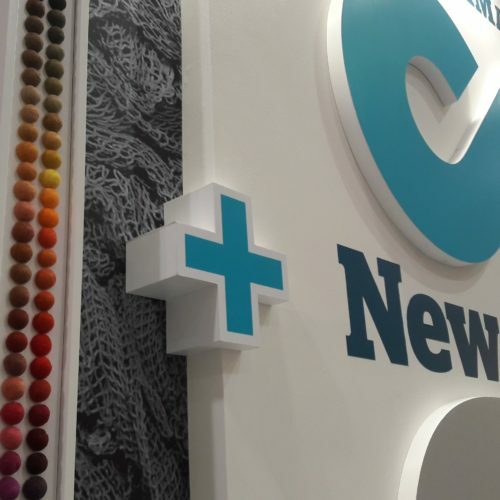 The number of available colors for ECONYL® yarn is now 170, increasing the creative possibilities for all customers and designers. 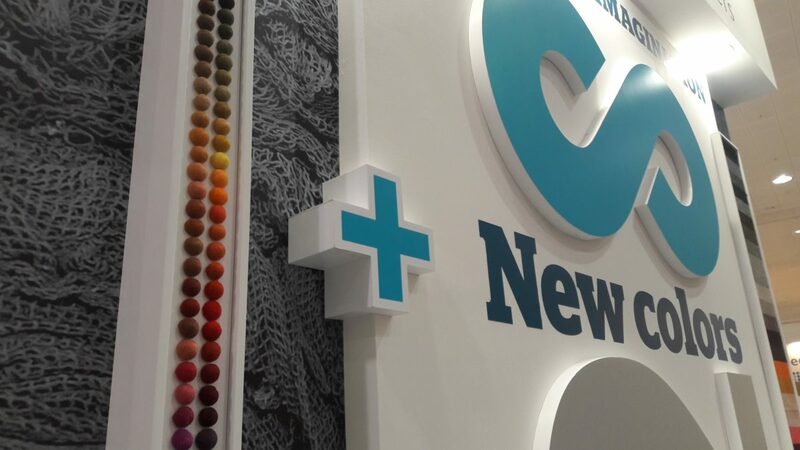 To explain our inspiration for the additions, we shared our new “Colors Video” which illustrates the ideas that take shape when one chooses to propose a new color in an existing range. 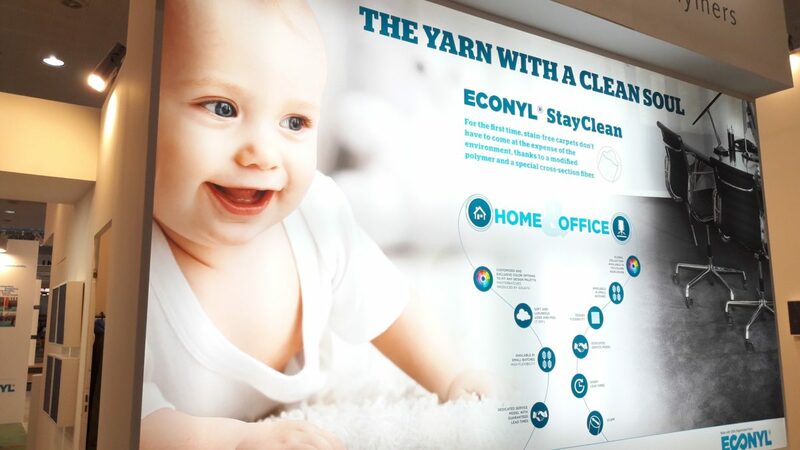 ECONYL® StayClean Home and Office. 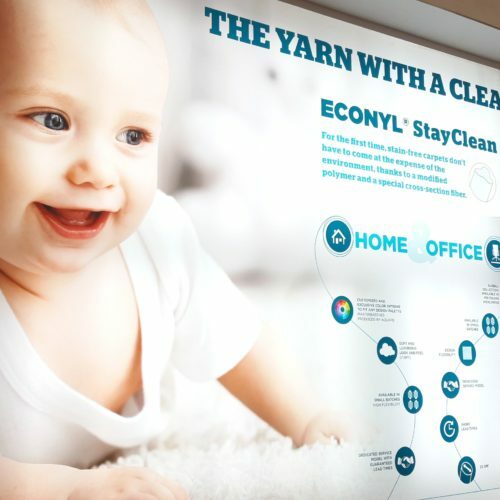 A 5-meter x 4-meter backlit wall with a great visual impact was dedicated to the company’s flagship product. 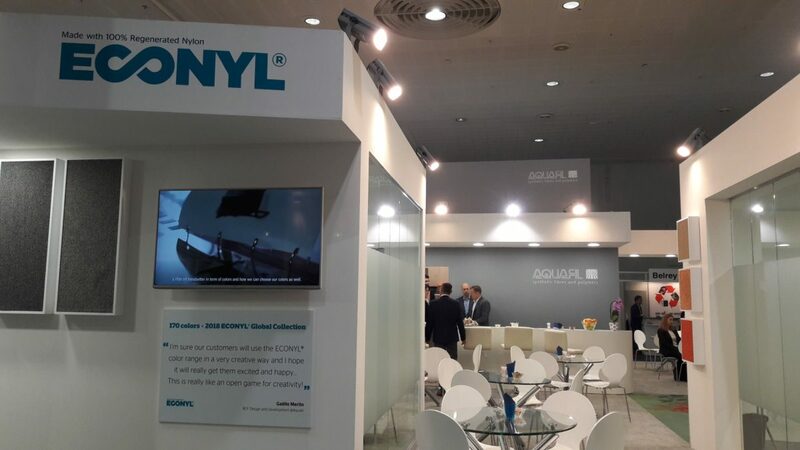 Besides dedicating a wall describing the details of the most spectacular event for Aquafil in 2017, we also installed a part of the magnificent carpet that was used for the event itself, thus recycling part of the carpet. 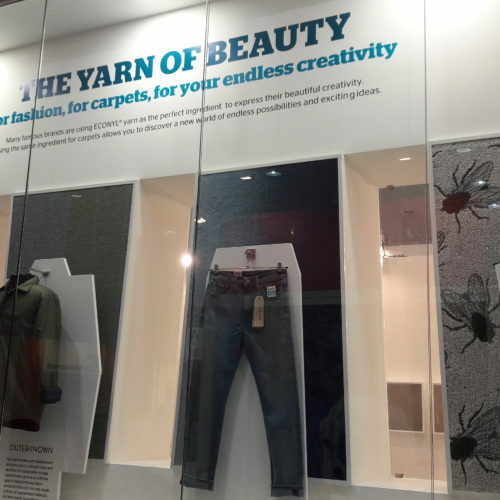 Creativity and design become infinite with ECONYL® yarn. 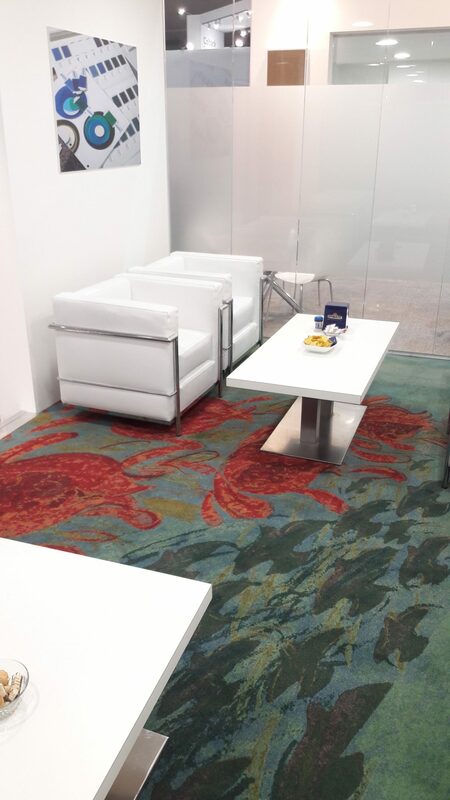 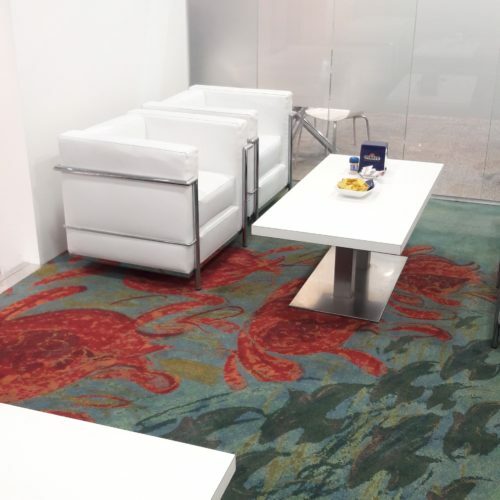 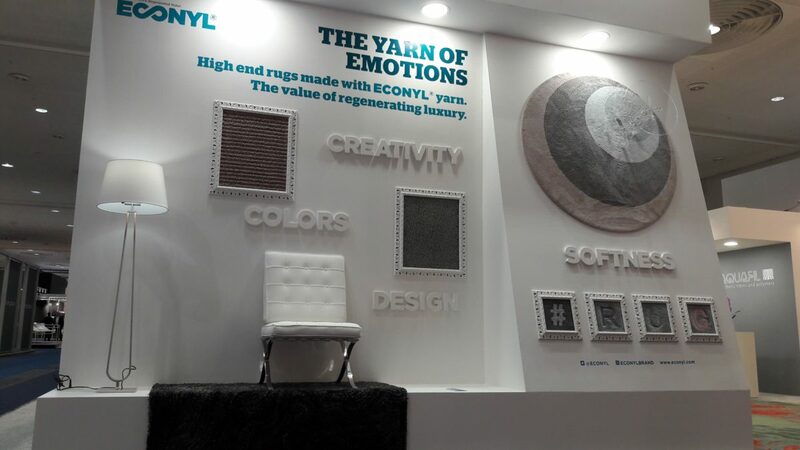 We chose to explain this with the “Mixed Textile and Carpet” wall, which illustrated the dynamic effects of the use of the circular product both in textile and in carpet applications. 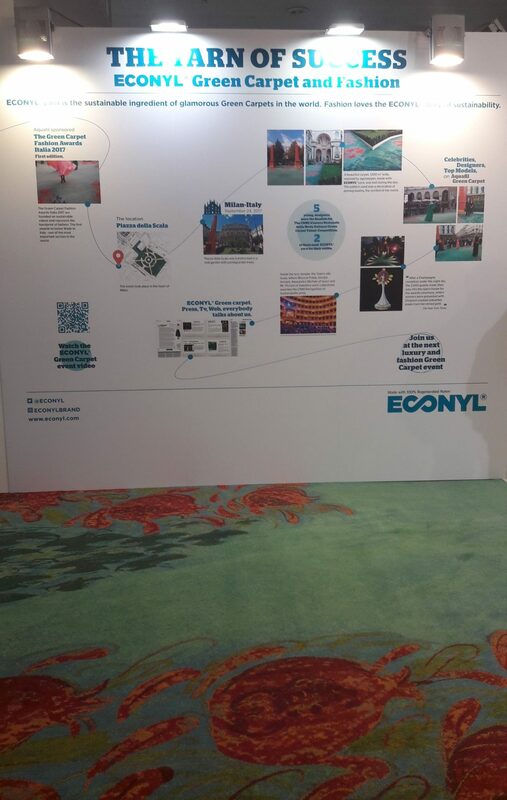 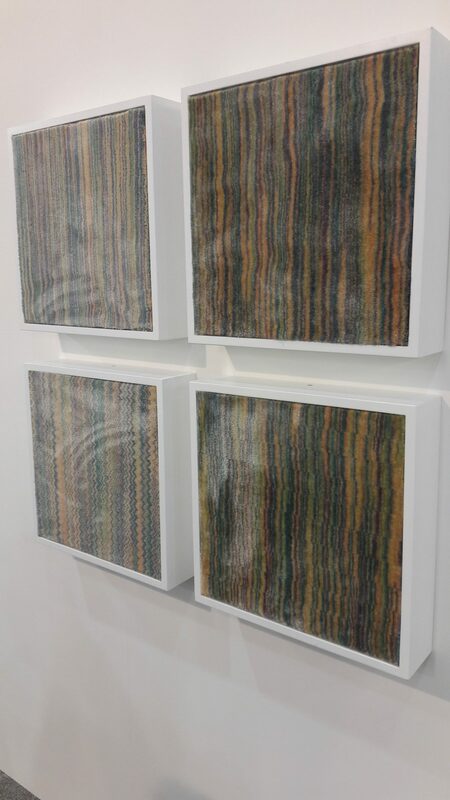 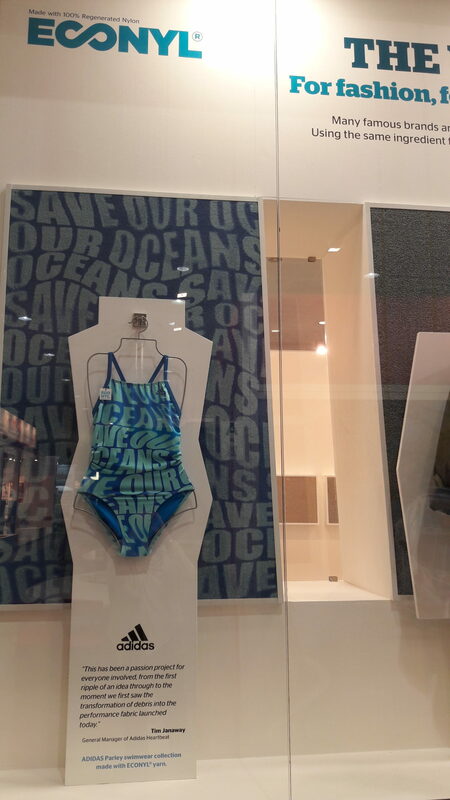 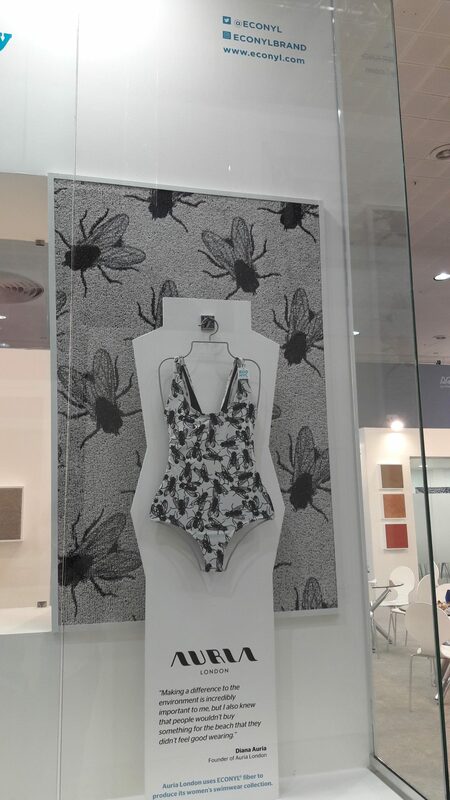 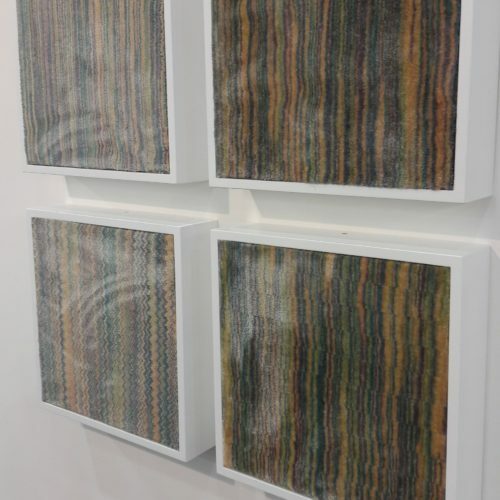 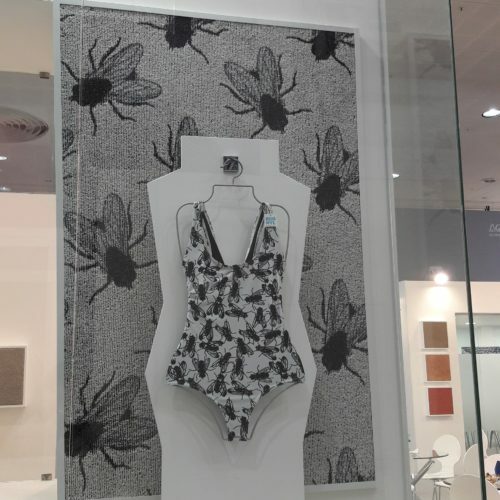 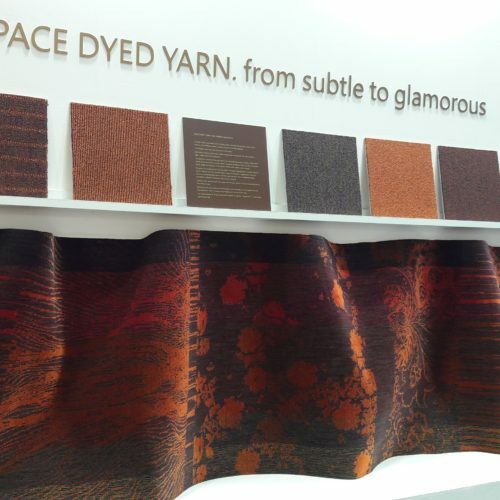 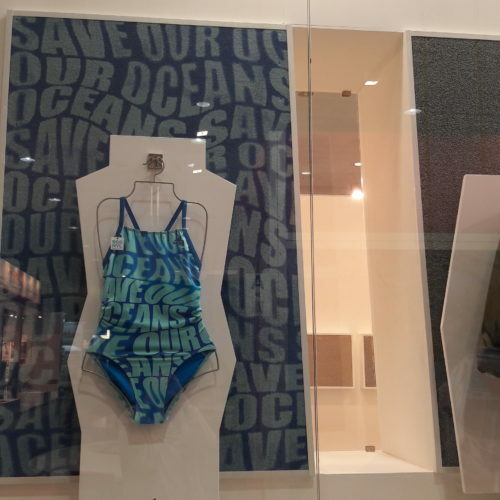 Thanks to the exciting story of sustainability and the circularity of ECONYL® 100% regenerated yarn, we were able to show the success in fashion and the success in carpet in this display. 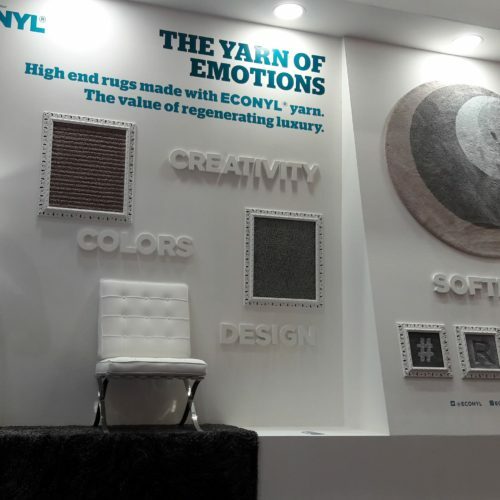 The 60 samples displayed inside were the pure expression of creativity and innovation of the Carpet Center, a team that manages to amaze every year with surprising solutions. 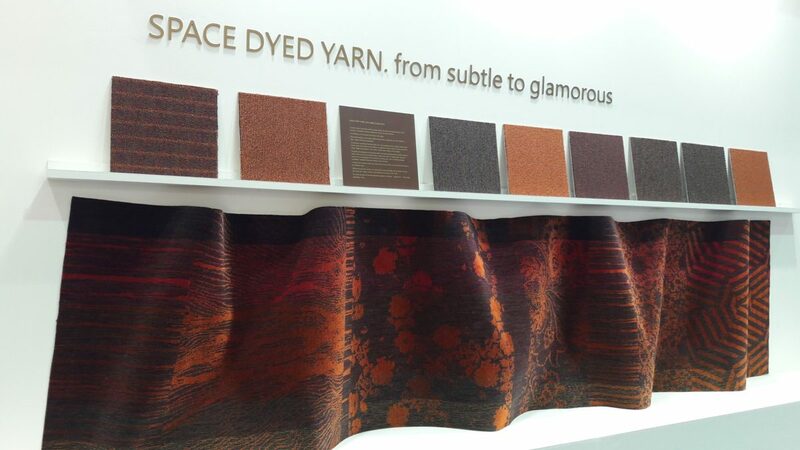 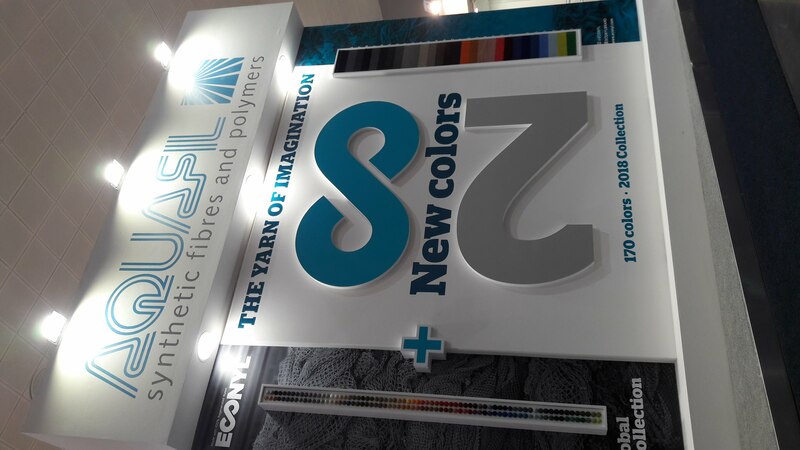 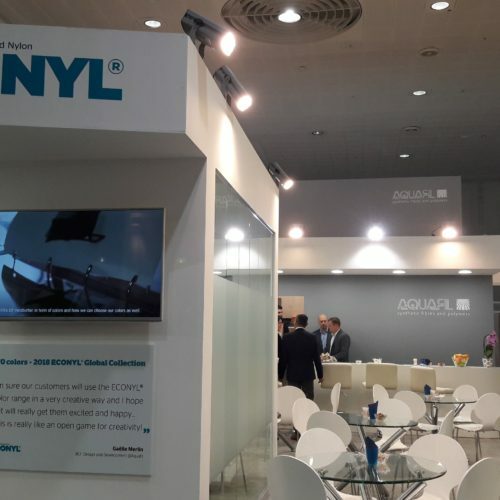 Not only did the Aquafil booth at Domotex communicate the magic and inspiration possible thanks to the ECONYL® yarn, but also some of our customers presented their sustainable collections made with our ECONYL® yarns, both at the Domotex 2018 in Hannover and at the Heimtextil in Frankfurt a few days before. 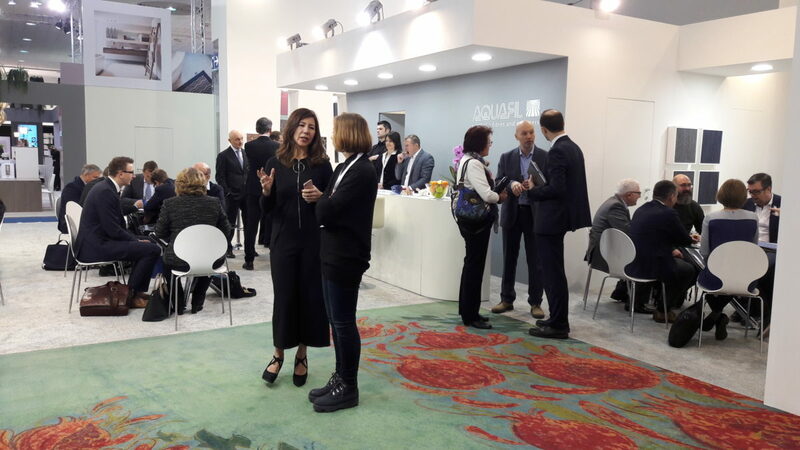 Check out our Domotex 2018 photo gallery.